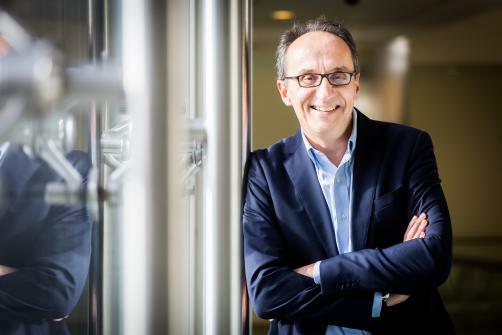 Just as his company announced robust H1 2018 financials, UCB's Jean-Christophe Tellier spoke to Pharmafocus to share his experiences of the tough life of a pharma CEO, as well as the path he took to get there. UCB has just unveiled strong financial results for the past half-year. What would you say these mean for the company? UCB has been defined by a focus on innovation. For us one of the key drivers in the future is the ability to grow in the market, and that growth is built on innovation; I feel that these results are an illustration of this. Innovation is the ability to better connect the patient with science. Our objective is to try to better understand this, especially in the fields of immunology and neurology, and through a deeper understanding of different patient sub-populations of a disease, be able to provide better solutions for them. These results and the evolution of our pipeline is a nice reflection of that. We are pleased with our ability to deliver on our promises; it’s something we take very seriously of course, to be able to create value for our shareholders and to make sure people trust UCB. The ability to detect what will be the next generation of products and technologies is something we are focusing on, and it’s very important to us to have delivered in the short-term on our numbers, which then give us the space to think about the long-term. The most important thing in this industry is continuous innovation, to create new products which create new solutions for patients. It’s a long road, I think. When did you first feel a drive to enter the pharma industry, and how did you take your first steps? Actually quite early; I started in the industry in 1988. I did med school first, and after that joined the industry, first in the clinical development sector. Very quickly I moved into marketing, and from there into various positions such as general management before joining UCB in 2011. Your current role is likely the most demanding you’ve held. Was there a definite increase in pressure when you stepped up to the position, and how did you manage it? It’s really a very intense position but it’s really an amazing experience for me so far. The ability to have an impact on patients’ lives is something I always wanted in my life. Very often people ask me: “why did you move from medicine and into the industry?” But to me, they’re a continuum. What I like about the position is that it integrates different components of that value, from science to development to education, and it allows you to make sure this also flows through to the patients. To me, I would say that’s a natural alignment, and maybe that’s the reason why I really appreciate the position that I have. In terms of pressure, yes of course, there’s a lot more, but at the end of the day it’s one position but it’s also one team. We are 7,500 people here at UCB with the same patients, the same passion, the same objectives; we share the same values, and we want to create value for the patients. So when I feel the pressure, I think of them, and this ability to deliver is very reassuring when you have to deal with pressure in the marketplace. I feel that we are in a very interesting time for the pharma industry: the science is really very creative, so we are in quite a unique position where you have the ability to leverage very diverse innovation and translate that for all patients. There is a lot to do, but we’re at a moment with a lot of opportunity, and that’s very inspiring. Before your time at UCB you served at a number of big industry names, including Ipsen and Novartis. What did you learn from working in these differing cultures, and did that influence how you approached your current role? I have been involved in different company sizes and I’ve learned a lot by being in big pharma companies and smaller biotechs. I’ve learned a lot being a part of European culture and US culture. I think, for me, it’s really a great chance to be able to be exposed to different situations, different cultures, a different size of company, because diversity is very important to me and creates a culture where you can feel life and a desire to continue to achieve. So it is very important for me to get this diversity of culture, and I have no doubt that who I am today is also an expression of my different experiences. You were selected internally for your role as CEO after four years with the company. Do you think your proven executive ability at UCB and also in your previous roles at big pharma firms gave you the edge in the decision? Life is a journey of learning and you learn every day, so I don’t know if you reach a point where you can say you’ve proven you’re able to do something. The objective is to make sure you can leverage what you have in your hand at a certain moment, and to make the maximum impact that you can and to learn from that. I do feel that here at UCB I have a very strong alignment, both personally and with the company, and I think it’s very important that, wherever you are and whatever you are doing, to get this alignment – an alignment between your own values and sense of purpose and the values and sense of purpose of the company. If you can align yours with that of the company – this is a real privilege. Then you can maximise who you are and leverage that to the best of your ability, and make the most of the experience. I feel very lucky to have worked in companies where I’ve had this alignment. How have you found the role so far in comparison to those you’ve held earlier in your career? What aspects do you enjoy the most, and which have proven to be the biggest challenges? What I enjoy most is the ability to reach a different level of impact; it’s really a role where you can maximise the impact you can have, and that’s very important. The diversity of the role, the exposure to a lot of different things, the ability to really cover a lot of different elements, and also the ability to work with people; by nature, you don’t succeed by yourself, you succeed through others, and you reach that on a different level when you’re CEO. The challenges, or maybe surprises, that I’ve encountered – I can think of two. One is the fact that you need to be comfortable that each time you talk, you talk on behalf of the company – you are not yourself anymore to a certain extent. It’s very different; even if you are the number two in the company, you are not exposed all the time to the same situation. When you are CEO, you are the voice of the company, wherever you are, whatever you say. To me, that was a very significant difference from my previous position. Secondly, I didn’t realise how far your agenda is booked in advance! So that was something that I needed to get used to. What advice would you give to someone who’s looking to make similarly successful steps in the industry? Firstly, be yourself, meaning understand yourself. Learn, test yourself, grow into different situations. See and explore what you like and what you’re good at. Find the highest position for you to be successful. Sometimes people are somewhat cautious in their career; I do feel like it’s important to expose ourselves to different situations. Change position, change culture, see where you have energy and where you can leverage your skill, and find a company that aligns with your own values.